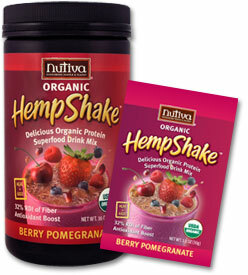 I received a sample of Nutiva’s HempShake Berry Pomegranate and decided to try it for breakfast this morning. 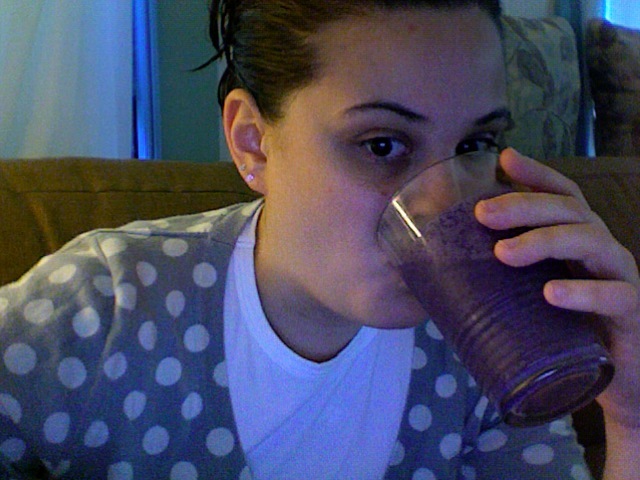 I made the Berry Blast smoothie that was included on the package. The smoothie consisted of 2T hulled hemp seeds, 8oz of vanilla soy milk, the package of Berry Pomegranate HempShake and 2T of coconut oil and 1/2 fresh or frozen fruit (I used frozen blueberries). Overall I am impressed by the HempShake consistency as it is surprisingly not chalky like I have found many other powdered mixes. I am going to for sure have to try the other flavours! Yum! That sounds like a delicious smoothie. I love hemp seeds so much!